Hello again kids. It is your favourite Casinophant here. Today I want to talk to you about something very near and dear to my old heart. That would be live casino games. Yes. For a Casinophant my age, it is pretty special what live casinos are offering you. You see, when I was young, everyone would call me cute. Old ladies really loved me. I was the star of the show no matter where I went. People were petting me and saying that I remind them of their nephew or whatever it was. This was a great time that I still remember to this day. Then, I grew up. Life happened. I became an adult and started wearing my signature clothes that you can see there on top of this page. Even though people have said that I look quite handsome for my age, there are a lot of those who are afraid of a Casinophant who wears a top-hat and dresses all humanlike. I guess I can’t blame them, though. Now, the great think about live casinos is that you can come as you are. You can just enter a live casino and select a table and be treated with respect. It does not even matter if you’re fully clothed! Heh heh, there have been times when I’ve been naked when playing at an online casino! For an old casinophant like me, it takes quite a bit of time to get dressed, so can you really blame me? 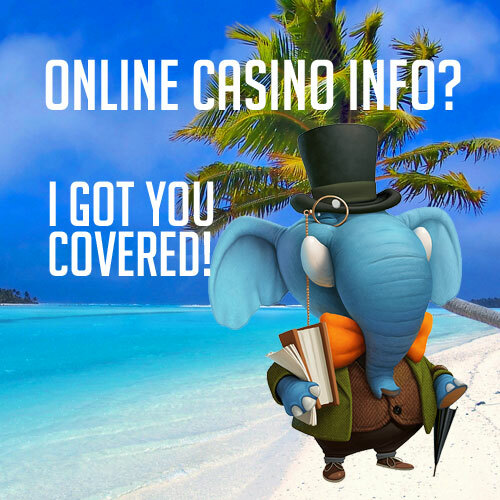 If you have not yet heard of live casinos, I think I should tell you something about the basics. The main difference between live casinos and normal table games is that you can see the dealer or the host or the hostess while you play. Thus, if you’re playing blackjack, for example, you can see real cards dealt by a real-life person! It is amazing what today’s technology is capable of. If someone were to ask you about live casinos 20 years ago, you would have laughed in their face. Well, at least I would have. In addition to being able to see the dealer, you can also write chat messages. You can even hold a conversation with the other people at the table—or the dealer who is using a microphone to communicate with you. So, even though you were lonely on a Friday night, you could still do something social by entering a live casino. Also, you should know that these live casinos are always open so you never really have to be alone if you don’t want to. Although I wouldn’t even call it loneliness—to me its solitude. I love being by myself. Where Can I Find This Live Casino? The fact of the matter is that you can find live casinos everywhere. They are actually not a casino per se, they are more like a separate area inside of an online casino. Most casinos nowadays have their own live casino area, but some of the newer casinos do not necessarily have one at launch. Still, you are bound to find plenty of live casino games out there if you go searching for them. At live casinos, you can most often play at least blackjack, roulette and baccarat live. This is very nice, because these are some of the most classic and best games out there.